We love cauliflower in our home...even the kids. This recipe is very simple to make. 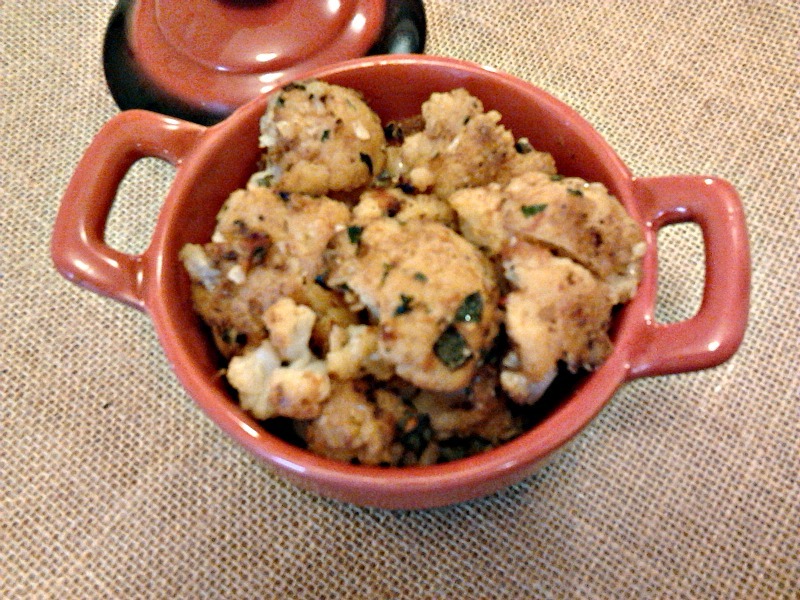 Lately I had just been making Simple Cumin Roasted Cauliflower but change is always good. This recipe uses basil but I think you can substitute any herb. Next time I'm going to try some fresh coriander since that is what I always have in the fridge.